A Matter of Time represents the relationship between man and the ecosystem. 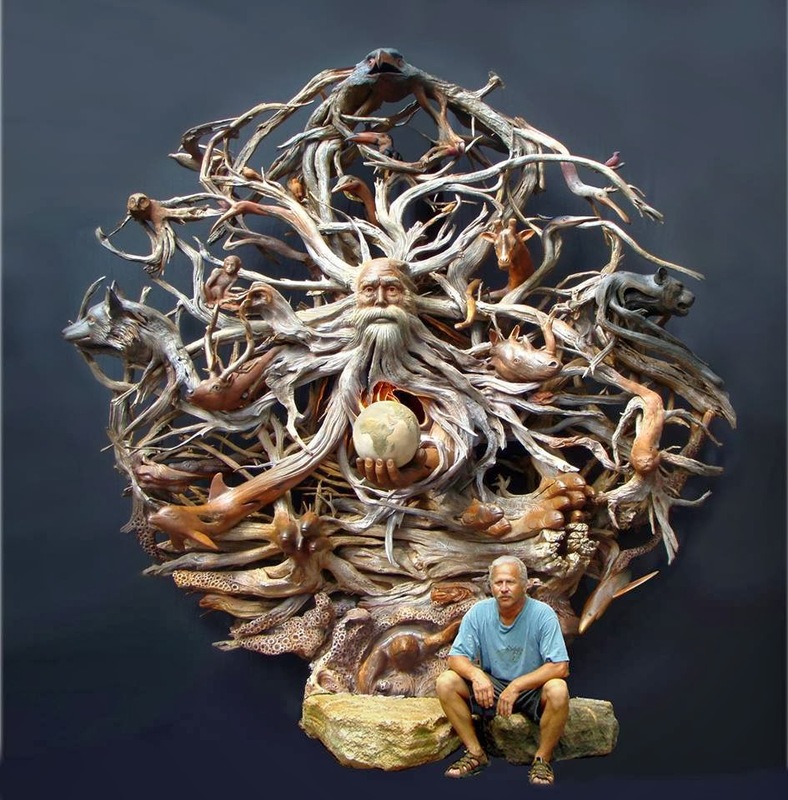 Created from dozens of pieces of recycled Florida Cedar, the sculpture features more than 40 animals surrounding a representation of man, who holds the fate of the planet in his hands. Baliker calls it “a career piece” that took him six months to create. It measures 13 feet in diameter. It recently placed fourth among hundreds of entries in the ArtPrize 2010 competition in Grand Rapids, Michigan.